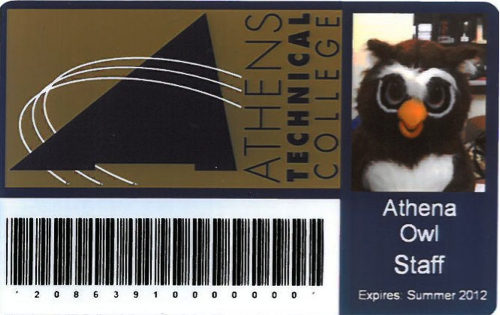 This identification card serves as a method to prove that you are an employee of ATC, is used as a library card, and grants access to other campus services. Identification cards are also used to identify faculty at clinical and internship sites associated with individual programs of study. Employees may obtain ID cards at scheduled times each week in room H-754 in the Student Center on the Athens Campus, the Student Affairs Office on the Elbert County Campus, the Manager's Office on the Greene County Campus, and the Director's Office on the Walton County Campus.